A souvenir of California Coastal Cleanup Day 2016. 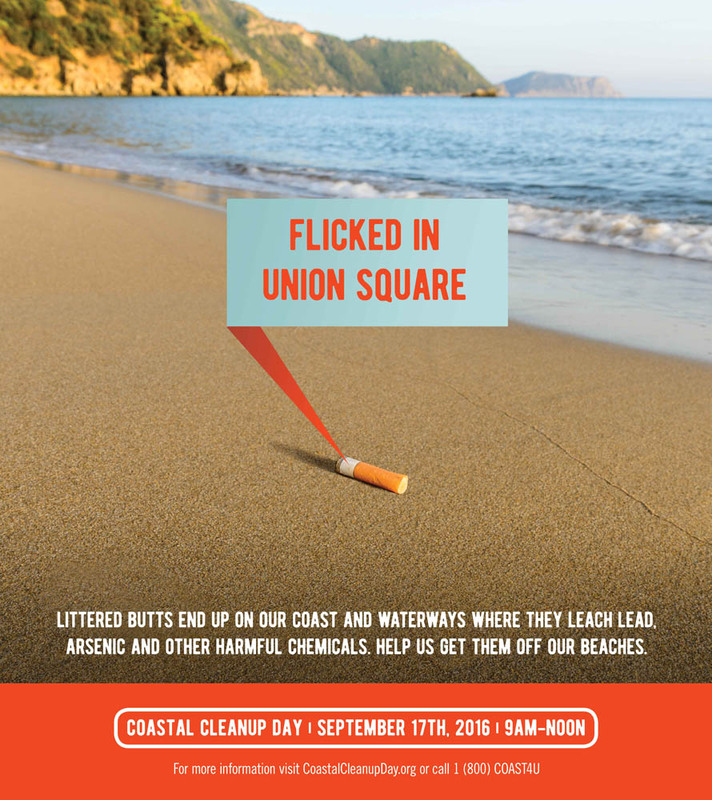 Text: "Littered butts end up on our coast and waterways where they leach lead, arsenic, and other harmful chemicals. Help us get them off our beaches."